So you have a blog that you want to monetize. You might have already taken some of the obvious steps, like sign up for Google Adsense. Now you want to make money by partnering with big-time retailers so you can sell their junk merchandise in exchange for a percentage of the sales. Take it from a longtime content creator, it can be tough. I've had whole months where I just stared at flatlined stats in my affiliate programs, trying to figure out where I was going wrong. 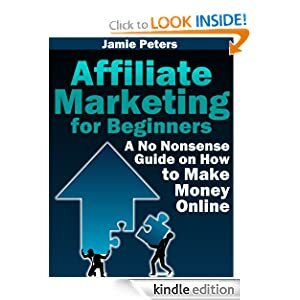 However, now that it's starting to take off, I can honestly tell you that there's some pretty good money in being an affiliate. People really do, but you have to be smart about it. Choose your affiliate programs wisely. Amazon should be the obvious one here, but that option is not necessarily available if you live in some states. If this is you, there are alternatives like the eBay Affiliate Network, Linkshare, Commission Junction and so on. Pick ones that are pretty stable, have the products that you actually want to sell, and don't change the rules on you too often. Choose relevant products. If you're going to write an article about the latest X-Men movie, does it make sense to sell car parts? Exactly. Any decent affiliate program is going to have deep linking options and/or a way to pull products related to your topic through an RSS feed. Pay attention to your content. I've actually seen content post pages that were nothing but a bunch of affiliate links with only a token amount of written content and maybe a few videos related to the featured products. These are called “wallpaper” pages. And then they wonder why they get blocked if they are writing for a platform like Infobarrel or Squidoo. They also aren't going to rank very highly in the search engines because, let's face it, Google doesn't reward laziness, bad English, or attempts to game the rankings using an outdated SEO rulebook. That means less organic traffic, fewer sales and a blog that's going to be abandoned eventually. Use Facebook and Twitter. Considering the hits that Facebook has taken lately, you would think that it's on its way out. And, yes, there are people who are on social networking sites strictly to spew their spam. However, when used wisely, social networking can be a good way to share news related to your blog topics. Link to your social networking sites on your blog, and then use your network to promote new blog entries and “interesting” products. Choose your plugins and widgets. For plugins, I use the WP Simple Rss Feed Reader to manage my eBay feeds. I also have text widgets for banner advertising along the side and footer of my blog. Just don't overdo it, because people might get bored and click away if your plugins are causing your blog to take too long to load. Get clever in your marketing. No blogger I know is going to have much of an advertising budget, especially if he relies on affiliate marketing for an income. I've done article marketing, Craigslist and Yahoo Answers with some success. DO NOT SPAM! This is one of the big issues. How many times have I deleted spam comments on my own blog? It's like they don't realize that leaving spam links that are obviously unrelated to my blog posts can actually ding them with Google if they see the light of day at all. I do moderate comments, and lately I haven't been allowing comments on new posts at all. Look, spamming will lose you followers and traffic, and you will be seen as that blogger who is more interested in selling fruit juicers than he is in leaving a comment that actually adds to a discussion about the health benefits of fruit. So just don't do it. Keep up with your links. With Amazon and a few others, affiliates have been unceremoniously dumped simply because state legislators voted to collect sales taxes on affiliate sales. That leaves them with a lot of useless links and they have to take the time they could be using to write articles to track them down. Google's affiliate network is handling being closed down a little better. They gave us a few months to decide what to do about our links.